When your gutters, siding or windows have been damaged by an unexpected event, we're here to help you recover fast. When a disaster strikes, the damage to your home can be devastating. To make matters worse, filing a claim and dealing with your insurance company can be a long, stressful process. 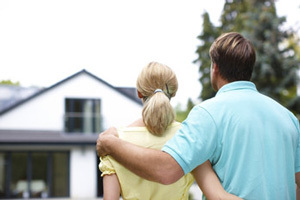 Here at Home Solutions Midwest, our goal is to get your home damage claim resolved faster to help you get back to normal quickly. When it comes to replacing damaged gutters, siding or windows, it's important to make sure you are getting the best materials at the best price and highest quality installation possible. Give us a call at 1-844-665-0388 for fast, professional service! On-site damage assessment with the adjuster. Free estimates for all emergency & permanent repairs. All services completed in a timely manner. Our claims professionals will evaluate your home, recommend the best solutions and provide a free cost estimate for the work. 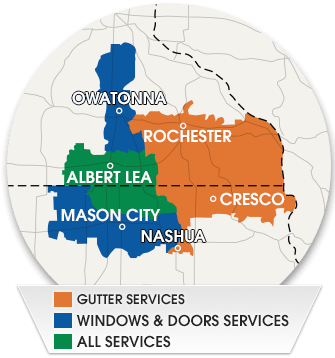 When it comes to gutter, siding and window replacement, we are the go-to contractor in Southeast MN & Northern IA. Contact us right away so that the wind, hail, or other damage done to your exterior and gutters can be fixed as quickly as possible. Acting fast can prevent water damage, mold damage, and other problems. We will provide a comprehensive inspection and no-obligation quote for the work you need. Call us today!